Spain's increasing international borrowing costs are approaching the seven percent level, a point where Greece and Ireland had to ask for bailouts. They're the highest borrowing costs since Spain joined the euro. European markets slumped, as Spanish stocks have tumbled and bond yields surged after the country's debt was pushed further into junk status. Safe-haven attraction was seen in German bonds. Concerns about Spain drove the euro down 0.7% to $1.2401. The IBEX index in Madrid fell 2.6%, the lowest since 2003. The country's Conservative government has been trying to force down government debt relative to the size of the economy with harsh austerity measures including cuts to education and health. 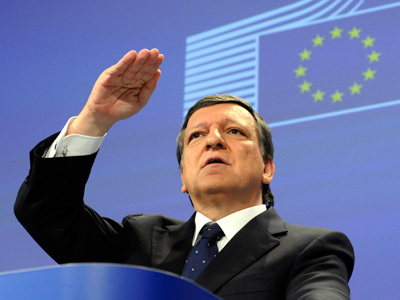 It has also been trying to convince international investors that Spain won't need a bailout. This sounds like Greece, Ireland and Portugal. But Madrid has some headaches all of its own. Spain's real estate bubble burst in 2008 as the financial crisis hit. That means the country has a lot of unpaid debts weighing heavily on the banks. Spain's other unique problem is the massive overspending and deficits in its semi-autonomous regions. As Madrid's stock exchange hit a nine year low what Spain says it needs, and Brussels for the moment agrees, is time. The European Commission says the EU should give Spain an extra year to meet deficit targets, but only if the government keeps the austerity up and presents solid plans about how it's going to do it. EU members will decide in June whether to grant this. 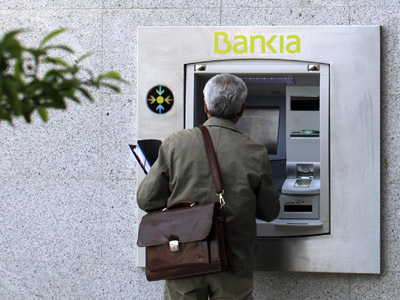 Spain nationalised its lender Bankia last week but has to find 19 billion euros to keep it afloat. 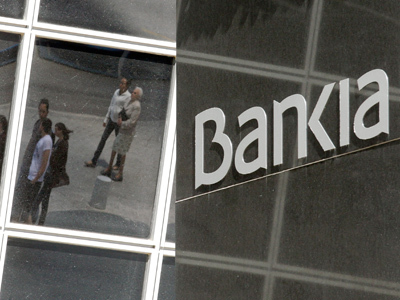 All this is making investors nervous that Spain will fail to save its banking sector. The government seems to be panicking too, angrily defending the country's economic performance and pointing at nearby Italy where the cost of borrowing has also risen. But while Madrid tries to keep investors happy its austerity measures are causing Spaniards much hurt. The country faces slowing growth and unemployment of nearly 25%. It's going through its third recession in three years. Most Spaniards agree that austerity is necessary, but that doesn't make this bitter pill any quicker or easier to swallow. Spain is Europe's fifth largest economy. As observers of this latest chapter in the great European debt crisis have noted, if Spain's problems worsen it will cause far more damage than Greece's crisis has.